My husband has been homesick for Dutch food while living in Australia and It’s All Dutch To Me has been a site we’ve used a few times to fulfil his cravings. We liked that there was a flat postage rate of $9.95 and it was exciting to unpack a box that bought back days of grocery shopping at Albert Heijn or C1000! We ordered a wide range of products all at quite reasonable prices. Everything from Chocolade Letters, a Delft Blue Metal Beschuit Trommel, Amstel Beer Glas, Pepernoten, Calve Mayonaise and Taaipop arrived in good condition. It’s fun browsing through their online catalogue and easy to order. Just keep in mind that if products aren’t in stock, you are aware of this as we ordered a box to arrive in time for Sinterklaas but didn’t get it until the week later due to one product not being available (though they did advise of this). 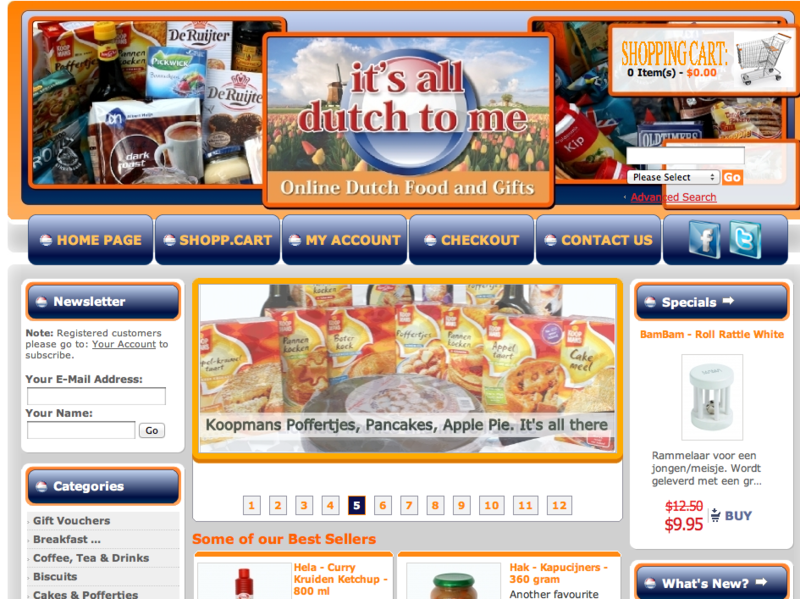 Fulfil your Dutch food cravings or educate your Australian friends and relatives at It’s All Dutch to Me! Great gift idea for Dutchies living in Australia. Dutch Australian is a blog written by Renee Veldman-Tentori, based around my personal experiences of being a dual national. Read more about me or contact me.